Yala Peak situated in the Langtang Himalaya region in Nepal. It is an easy trekking peak climbing, and is relatively simple, non-technical climb. The summit is renowned for being an excellent vantage point from which Shisapangma (8013m), the highest mountain wholly in Tibet and the smallest of the 14th eight-thousands can be seen. The adventurers’ ultimate aim is to experience the flavor and challenge of a Himalayan mountaineering expedition by climbing up Yala Peak, a mountain at the end of the remote Langtang valley on the border with Tibet. From the summit we will be opposite the mysterious mountain of Shisa Pangma the highest mountain in Tibet. Starting with a 7- hour uphill crawl by bus from Kathmandu to the market town of Trisuli Bazzr, the journey then continues along a very steep sided valley on an extremely exposed rough road, before arriving to the road head at Syabrubesi. This is followed by two days hard walking through the deep, dark gorge of the Langtang Khola River lined with ancient, moss and lichen covered forests before the open Langtang valley flanked by an imposing avenue of high, snow capped peaks. To acclimatize to high altitudes a rest day in Langtang village is necessary before proceeding next day to Kyanjin gomba which is the last human habitation in the valley. From Kyanjin our mountain expedition becomes a reality as we can see the white pyramid of Yala in the distance. From Kyanjin we will spend a day acclimatizing on some lower peaks before attempting Yala. Day 10:Trek back to kyanjing gumpa. Day 3Drive to Syabrubesi We drive to Syabrubesi. It is nearly 5/6 hours scenic drive and we stop for lunch on the way to Syabrubesi. Day 4Syabru Besi to Lama Hotel (2748m) The main trail to Langtang descends along the ridge, through the village, and then continues the descent to the Langtang Khola. We follow the river, climbing though uninhabited forest of oak and rhododendron alive with birds. Passing the single dwelling of Chongong we climb along a steep trail to our camp in the forest. Day 5Lama Hotel to Langtang village (3500m)As we continue climbing there are occasional glimpses of Langtang Lirung between the trees. At Ghora Tabela (3000m), the trail emerges into open ground. There was once a Tibetan resettlement project here, but now it is a Nepalese army post though it has no permanent inhabitants. The trail continues to climb gently and the valley widens, passing a few temporary settlements used by herders who bring their livestock up to graze in the high pastures during the summer months. There is a monastery which we can visit shortly before arriving at the village of Langtang, the headquarters of the Langtang National Park. The houses of Langtang and neighboring villages are of Tibetan style, surrounded by stone walls enclosing fields of buckwheat, potatoes, wheat, turnips and barley. Day 6Langtang village to Kyangjin (3800m)The trail climbs gradually through small villages and yak pastures as the valley opens out further and the views become more extensive. After crossing several small streams and moraines, the trail reaches the settlement at Kyangjin. Here there is a small monastery and a government-operated cheese factory. We should have to taste yak cheese. Day 7Rest day in KyangjinA day to rest, acclimatize and explore the area. Near the village, visits can be made to the monastery and the cheese factory. We may walk up the moraine to the north where there is a spectacular view of Langtang Lirung and its hanging glaciers, or climb Kyangjin RI, just behind the village, for a superb all round panorama. Day 8Kyangjin to Yala (4641m)Kyangjin we continue further up the valley, climbing above the Langtang Khola and contouring around the hillside to Yarsa Yala. From our camp here there are tremendous views towards the peaks of Dorje Lakpa (7000m), Kangchenpo [6400m] and Lonpo Gang (7100m). Day 9Summit Yala PeakOur base at Yala provides us with the opportunity to climb Yala Peak, a glaciated peak to the north east of Yala. The climb is not difficult and provides good acclimatization and training for our climb. The climb is straightforward being little more than a walk up steep snow slopes of around 30 degrees. Ice axe and crampons will be needed and most of the climb will involve walking roped together up the glacier. 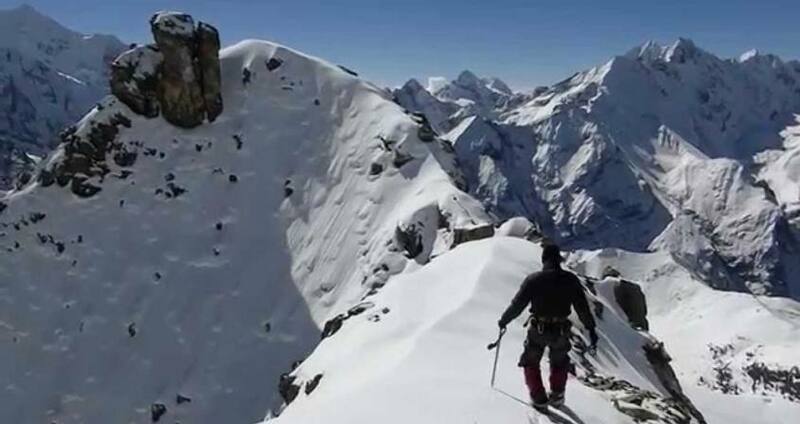 This climb is a superb introduction to mountaineering in the Himalaya with magnificent mountain scenery all around and views across to the mountains in nearby Tibet, including Shishapangma. Day 10Trek back to kyanjing gumpa. Back to kyanjing gumpa. Day 11Trek to Lama Hotel (2748m)From Kyangjin we retrace our route, following the Langtang Khola to Langtang village and on to Ghora Tabela. After lunch we continue the steep descent to Lama Hotel. Day 13Sing Gompa to Gosaikund (4336m) trekWe climb a ridge to gain the main Gosainkund trail. There are good views across Langtang valley to Langtang Lirung. To the west there are dramatic views of Himalchuli, Ganesh Himal and Manaslu. Eventually the trail descends from the ridge to the first of three lakes, Saraswati Kund. The second lake in the chain is named Bhairab Kund, and the third, Gosainkund. This lake is particularly sacred and a place of pilgrimage in the summer. 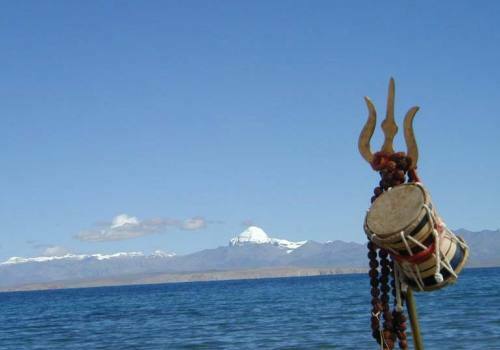 According to legend this lake was created by Shiva when he pierced a glacier with his trident to obtain water, quenching his thirst after taking some poison. Day 14Gosaikund to Gopte (3359m) trekThe trail leaves Gosainkund and climbs through rugged country, past four more small lakes to Laurebina La at 4610m. We then descend steeply to camp near Gopte. Day 15Ghopte to Kutumsang (2125m) trekFrom Mangan Kharka it is a short climb to cross a ridge before following a very easy trail, through forest with superb views across to Numbur, Jugal Himal and many other snow capped peaks. From Kutumsang we climb to a pass at 2620m., before descending to the Tamang village of Gulphu Bhanjyang. We camp beyond Gulphu Bhanjyang, on a ridge with splendid views, stretching from the Annapurnas and Manaslu in the west to Numbur in the east. Day 16Trek to Chisopani (2194m) trekFrom our camp it is an easy climb to cross a pass at 2470m before descending to Pati Bhanjyang, a large Tamang village with a few shops and a police check post. From here it is a 2 hour climb to Chisopani and our camp. Day 17Chisopani to Kathmandu (1450m)The trail passes through meadows and cultivated fields then climbs through oak and rhododendron forest to Burlang Bhanjyang. From here there are magnificent views of Annapurna in the west to Ganesh Himal and Numbur in the east. This ridge marks the northern rim of the Kathmandu Valley. We now begin descending steeply through dense forest of oak, pine and rhododendron to cross a dam and then follow a large water pipe which supplies much of the water for Kathmandu. Soon we are down into Sundarijal where we pick up transport into Kathmandu. Day 18Fly out. Pink Mountain Treks and Expedition's representative will drop you at airport before Three hours of your flight schedule.